Although I rode many many times in Egypt I will never forget this special trip! 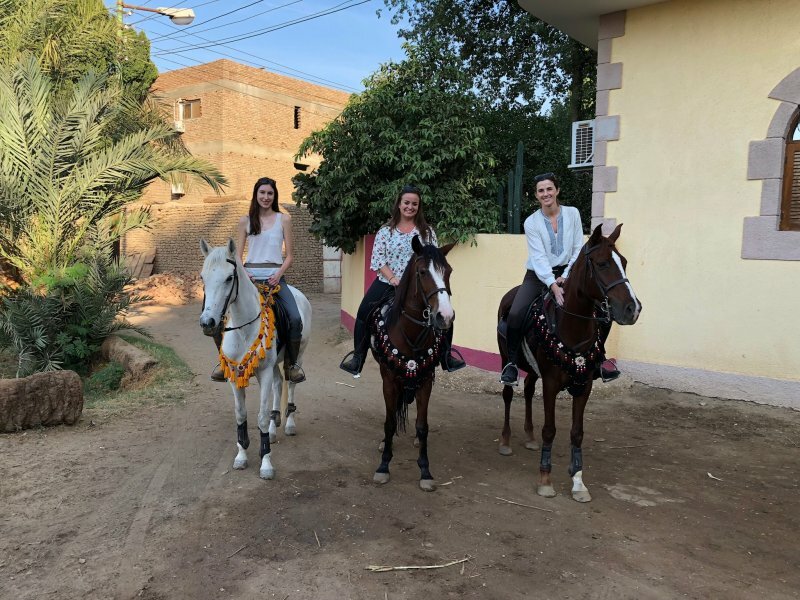 To ride trough those sugar canes and the real Egyptian villages near the Nile river is definitely a worth for every horse lover who came to Egypt! 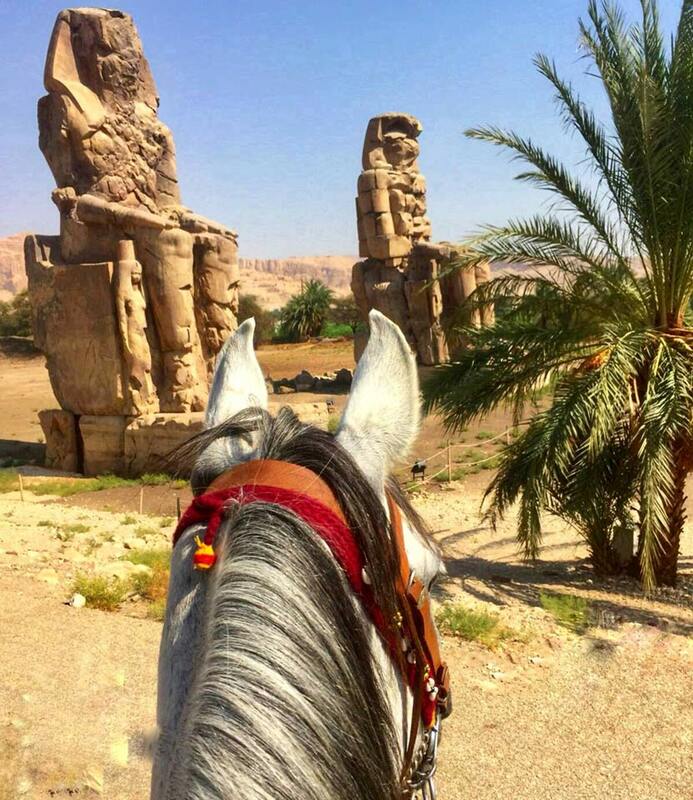 You ride trough the fields and canter across the feet of the mountains before you came to some ancient Egypt relicts like the Memnon Colossi. 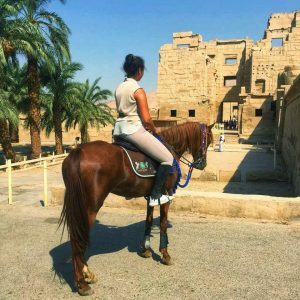 Even if they are beautiful and breathtaking anytime – at the back of a horse even more! The stable is absolutely fine and the horses have big and open stables as it should be! Every single horse is in a good shape and will be treated well too! :) And – and that’s not self evidence – the Equipment is in a good shape and very comfortable, even for long trips! The boys were very friendly and courteous (For example they ask many times, if I want to drink something, or even eat a snack! 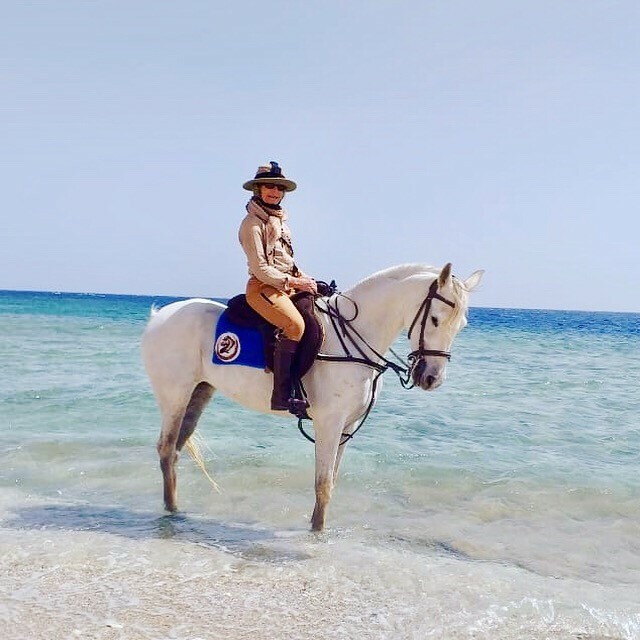 Even if mares aren’t my first choice when someone ask me if I want to ride a horse, the beautiful Layla was comfortable, well ridden, soft but has power and strength when it was queried! So well done Layla! 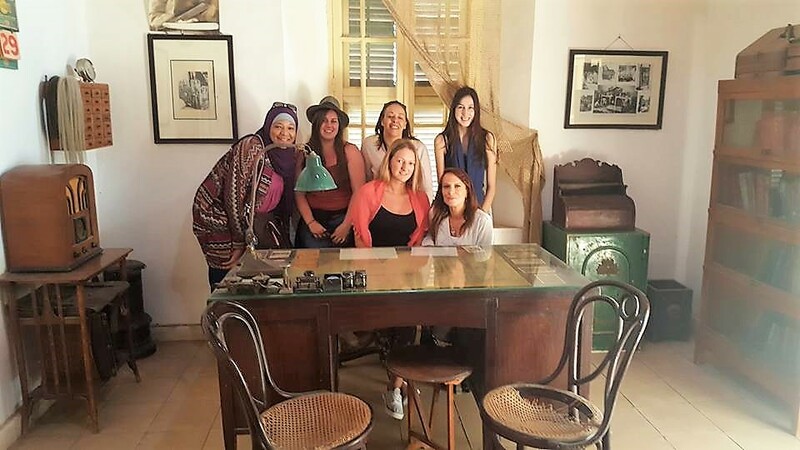 So finally it is a very good stable from Emma and Mohammed! 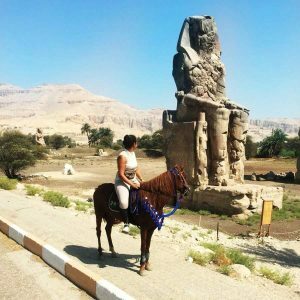 I will come back 100% and will recommend it to every horse person who came to Luxor or make a Nile cruise! Thank you very much!